The Orang Kaya Pemancha Dana “Bayang” of Padeh. The Orang Kaya Pemancha Dana “Bayang” of the Padeh was the youngest child of Orang Kaya Beti and his wife Endau. He was the most powerful Iban warleader of the Second Division in his day. He had six sons and three daughters: Orang Kaya Pemancha Nanang, Luyoh, Aji, Unting, Buda, Umpu, Tiong (f), Landan (f) and Badong (f). His most trusted warriors were Sabok apai Maang, Uyu apai Ukum, Unal “Bulan”, Igoh apai Lamban, Orang Kaya Akun “Bedindang” and his brothers. It was because of this group of brave warriors that Dana’s wars were all successful. OK Pemancha Dana “Bayang” was the only know Iban Chief known to have led an headhunting expedition by sea to areas beyong the Tanjong Datu into the Dutch territory of Kalimantan, Indonesia. With reference to The Indian Archipelago: Its History and Present State, Vol. II, by Horace Stebbing Roscoe St. John, Published by LONGMAN, BROWN, GREEN, AND LONGMANS. London, 1853 page 176, he wrote …. “The war schooner Haai, stationed at Sambas, in Borneo, suffered considerably from a flotilla of thirty ” Dyak prahus,” which attacked her, in the year 1819. At the same time the coasts of Pontianak were much infested by Dyak pirates. At Mampawa an action took place with them. The chief of the place having learned that there were nine of their prahus at the mouth of the river, each manned by from thirty to forty of these notorious sea-banditti, resolved to attack them, though with a small force. They fought at close quarters, no other weapon being used than the klewang, a heavy sword or cutlass. These Dyaks, according to the Dutch writers, came from Sarebas, which is only accessible to the peculiarly constructed boats of that people. He describes them in their expeditions as carrying fire, murder, and havoc along the cultured and peaceful shores, and bearing away as trophies the skulls of their victims. Having at that time few or no firearms they used klewangs and javelins, with the points hardened by fire. They have been known in large bodies to join the Lanuns, in their piratical excursions, claiming the heads and the iron work captured as their division of the spoil. The sea Dyaks are described by one of the best SeaDyaks informed writers (Hugh Low, Sarawak) on Borneo, as frequenting the neighbouring waters in their prahus, to carry off the heads of defenceless fishermen, or any other persons whom they may find unprotected, or off their guard. They inhabit chiefly the tracts about the rivers Sarebas and Sakarran, with their numerous and large branches, which form estuaries and deltas, with many avenues to the sea, very favourable to clandestine enterprises, and the facility of retreat. With above information, we know that OKP Dana had already led a large war party to raid the coastal areas of West Kalimantan and was already at the prime of his political influence. James Brooke was only a 16 years old boy, commissioned as ensign to the 6th bengal Native Infantry. Before he became a warleader, Dana had a vivid dream in which he was told by the goddess Kumang, who resides at the top of Santubong mountain, that he should not kill any people who live northeast of the Saribas river and between the Saribas and the Santubong delta. She assured him that it would be easy for him to defeat all the people who lived between the Santubong delta and the Kayong river southeast of the town of Pontianak. It was because of this dream that the Orang Kaya Pemancha Dana “Bayang” never raided the Melanaus who lived at the Rejang delta and beyond. Also because of this dream, whenever he came to Santubong Mountain on his way to raid the enemy beyond it, he had to stop one night at Santubong beach in order to climb the mountain to consult the goddess regarding his coming war plans. In about July of the year 1819, Dana attacked the Sungai Raya in Kalimantan with 40 warboats from the Saribas and Skrang rivers. He and his followers raided many villagers and longhouses, and his warriors killed over one hundred Malays and Salakau Dayaks in the area. Besides this they captured a considerable number of prisoners whom they brought back to their homes. After he had successfully raided Sungai Raya, his next expidition was an attack on the Balau settlement at Banting. This attack was purely to exert revenge on the death of his two elder brothers, Isik and Senaang, who were killed by Balau raiders while fishing for buntal fish at Tanjong Kauk, when he was still a boy. According to Saribas historian account, Bediman Anak Ketit, the Incident at Tanjong Kauk happens in the month of July, when the middle and lower river Iban of the Layar, Paku and Padeh were catching buntal fish at Tanjong Kauk above the mouth of Rimbas in the main Saribas River. Following the yearly habit of collecting buntal fish at this tune of the year, several hundreds of people took part that year, including a young Dana “Bayang”, his elder brothers Isik and Senaang and his relatives. One day when many of them were catching fish in the river a large force of Balau warriors came up the river in warboats to attack the Saribas fishermen whom they knew to be fishing there at that time of the month. The majority of the unarmed Saribas Iban repulsed the enemy with paddles and poles. During the fighting many Saribas small fishing boats were capsized. Their crews were either drowned or killed by the enemy. Out of the hundreds of Saribas fishermen who were at work in the river and who fought against the enemy, only the Orang Kaya Pemancha and some others were able to defend themselves with small knives which they used to slice fish. After all his relatives and friends including his brothers Isek and Senang in his boat had been drowned or been killed, the wounded Dana with an harpoon stuck on his stomach, swam to the shore to save himself. After the enemy had left, Dana fainted. Early next morning, when he woke up after a long sleep, Dana walked along the winding muddy bank of the Saribas till he met a man in a boat. The latter was Saribas Malay who recognized the Orang Kaya Pemancha. The latter begged this man to take him home to the Padeh in his boat. After the massacre at Tanjong Kauk, Dana vowed to organise a big war expedition against the Balau Iban of Bukit Banting. He said that they must do it as revenge for the death of so many Saribas people at Tanjong Kauk. Fortunately, while attacking the Balau fortified longhouse at Banting many years later, this attack was halted shortly by two of OKP Dana’s uncles named Manang Insing and Kelabu. They had earlier in the years been married and settled with the Balau community at Banting. A peace ceremony could have been organised between the two rival Iban community. 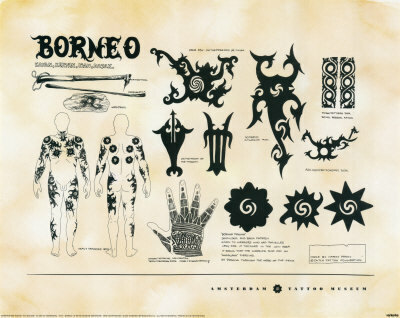 It was said that OKP Dana never attack the Balau settlement anymore and that the Balau did not trouble OKP Dana on his headhunting expedition passing by the Batang Lupar river mouth or passing by the Balau settlement at Banting on his way to attack Undup in later years. Next, the Orang Kaya Pemancha Dana “Bayang”, with the help of the principal chiefs of the Saribas Malays and other Iban leaders of the Saribas and Skrang raided the town of Sambas. They fought very hard and killed a large number of the enemy, including Salakau and Lara Dayaks who lived in the surrounding countryside. Two years later, he led a large number of Saribas and Skrang Iban in a raid upon the Chinese town of Singkawang. The Chinese defended themselves with long handled knives known as tat but a great number of them were killed. A few of the enemy who were able to escape fled to Mentrado town. Besides killing the enemy, a large number of captives were taken, whose descendants live to this day in the Saribas district. Because some of the Chinese had escaped to Mentrado during his raid on Singkawang, Orang Kaya Pemancha Dana “Bayang” attacked Mentrado with 180 warboats from the Saribas and Skrang. During the fighting, hundreds of Chinese were killed and a small number were captured and taken back to the Skrang and Saribas rivers. Today, their descendants are living in these regions, although some were sold at the time to Malay chiefs and so were absorbed into the local Malay population. One night few years after his attack on the Mentrado Chinese, Dana “Bayang” led over a hundred warboats of Malays and Iban from the Saribas and Skrang in a raid upon the town of Pontianak. They fought very hard in an attempt to invade the town area. But faced with unexpected difficulty they were able to attack only those of the enemy who pursued them out to sea in their boats. At this time the Orang Kaya Pemancha’s leading warrior Libau “Rentap” and his fighting men from Skrang killed a boatful of Pontianak Malays and gained a gold-handled kris. A year after that, Dana “Bayang” led an expedition against the Salakau Dayaks who lived in the Sarawak territory near Cape Datu. During the fighting, the enemy was reinforced by the Lundu Iban led by Orang Kaya Temenggong Jugah, son of Nyambong who had migrated to Lundu with his tribe from the Sebuyau. Dana fought them as well. In fact this involvement of the Lundu Iban in a Saribas-Salakau war revived an old enemity between the Sebuyau and Saribas Iban. Although many of the enemies were killed, Orang Kaya Pemancha also sustained heavy losses among his own fighters. The next year, Dana “Bayang” raided Mempawah near Sambas. In this war his warriors slaughtered a large number of fishermen. But as soon as this war was over, a number of minor Saribas warleaders, such as the Qrang Kaya Antau “Linggang Negeri” and his brother Orang Kaya Gun “Mangku Bumi” of the Rimbas, attacked the Sebuyau Iban with small war parties. In revenge, the Sebuyau Iban allied themselves with the Balaus and attacked the Saribas Iban in the later’s territory at Rimbas, Paku and Padeh. At the height of these conflicts, between 1830 – 1835, Orang Kaya Pemancha Dana “Bayang” led over 200 warboats of Saribas and Skrang Iban warriors to raid Sambas. After the enemy’s stockade was taken, Dana’s warriors captured a gun which had been left behind by the enemy. This gun was taken back to Saribas and was later called the “Bujang Timpang Berang”. The gun was used by Orang Kaya Pemancha Nanang, the son of Dana “Bayang”, when he and his warriors in the upper Layar fought for several years against Brooke forces at Sadok Mountain, until their surrender in 1861. In the same year that Orang Kaya Pemancha Dana “Bayang” raided Sambas, Orang Kaya Rabong of Skrang attacked the Balau Iban and Malays at Banting hill on the Lingga river in retaliation for the Balau attacks on the lower Skrang Iban. A few years after Orang Kaya Rabong’s attack on Banting, the Undup Iban reinforced by the Dau Iban attacked the Kumpang and Lemanak Iban of the lower Batang Ai. Because of their precarious position these Iban asked Dana “Bayang” to help them take revenge upon their attackers. Dana “Bayang” said that the Undup and Dau Iban was not his enemy, therefore he could not interfere, but the Kumpang, the Lemanak and the Skrang Iban insisted that he should help them, or else they could not defeat the enemy who had been attacking them for the past few years. So it was that the Orang Kaya Pemancha asked them who would lead the party against the enemy. They told him that all the Kumpang, the Lemanak and the Skrang Iban had unanimously appointed him warleader. Hearing this the Orang Kaya Pemancha agreed to their request, but he told them that before he could fight the enemy, he must first call together other warleaders and leading wariors of the Saribas to find out whether they would agree to join the expedition. The Kumpang messengers were asked by the Orang Kaya Pemancha to wait for a couple of days until he had received answers from the other Saribas leaders. A few days later, Unal “Bulan”, Igoh apai Lemban and Uyu apai Ikum came and said that they agreed to join the expedition with their fighting men. Linggir “Mali Lebu” of the Paku said that he and his warriors would also join, but that they could only do this after they had finished planting (nugal) their hill rice. After the Orang Kaya Pemancha had been assured by the other Saribas leaders that they would join his forces (bala) he sent the messengers from Kumpang home to inform their people that he and his warriors from the Layar and Padeh would come as soon as it was convenient. After their departure, Dana invited Sabok, Badindang, and his brothers Isek and Senaang to follow him and Unal “Bulan” and his fighters from the upper Layar River to the Undup. The latter’s leading warriors were headed by Igoh apai Lamban and Uyu apai Ikum. When their war preparations were completed, the Orang Kaya Pemancha and his hundreds of warriors left the Padeh for Skrang. On the way they stayed one night at Nanga Lemanak. The next day they marched to the Kumpang. On their arrival, they found that thousands of people from the Skrang, Seremat, Lemanak and Belambang were awaiting their arrival. That night after the leaders of each community had discussed various things with him, the Orang Kaya Pemancha asked how many people from the Skrang, Lemanak, Belambang, Seremat and Kumpang were prepared to join the bala force. They told him that a few thousand warriors had come and an unknown number would come later as soon as they could. Hearing this Dana asked them whether they had chosen a supreme war commander. They said that they had chosen him to lead the force. On hearing this, Dana said that he would not proceed with the war until Linggir “Mali Lebu” and his fighters from the Paku had arrived after finishing their padi planting. As a result, the people of Kumpang had to feed the troop for at least a fortnight while they were waiting for the arrival of Linggir and his followers. Two weeks later, the latter came from the Paku. Linggir’s leading warriors were Enchana “Letan”, Birai “Jawa Jambai”, Minggat and Chulo “Tarang”. On the night of Linggir’s arrival, the Orang Kaya Pemancha called his first council of war. In it he told Linggir that the Batang Lupar people had chosen him to be the commander-in-chief of the invasion against the Undup Iban. Linggir said that this was the correct choice as no one else was more senior and experienced. Linggir further said that if it were not that they had come to reinforce him; he and his fighters might not have come at all because they were very busy with their fanning at that moment. After this discussion, the Orang Kaya Pemancha told the people the things they must do to prepare for the war. He ordered two local headmen to pull up small saplings for tambak burong (augury sticks) early the next day. One was to pull up a sapling when he heard the call of a ketupong bird on his right and the other was to do the same thing when he heard the call of a beragai bird on his left. He ordered another two headmen to go into the forest the following morning. One was to pull up a sapling when he heard the voice of a pangkas bird on his right, and the other to do the same when he heard an embuas bird on his left. After that, they should again walk together until they heard a kelabu papau bird call on the left of the path. He explained because of these omens, the men would all be safe on the expedition no matter what bad omens they might encounter on the way. The following night a bedara festival was held in order to prepare the offerings which were to be given to the gods and to the familiar spirits of war in order that they might help the warriors to defeat their enemies easily. Afterwards, the lemambang sang the renong kayau chants in order to ask the heroes of Panggau Libau and Gelong to bless them and ensure their success. They sang the chants near a group of war charms and weapons which had been put on a Dias (meligai). When the bards stopped singing at daybreak, food was served by the hosts to all along the gallery of the longhouse. After everyone had eaten, the longhouse headman gathered the people together to ask them to relate their dreams of the night before. After all the warriors had told the headman their dreams, the Orang Kaya Pemancha asked the headman himself what his own dream had been. The headman said that in his dream that night, he felt he was one of a group who killed a number of bears. Later, when he looked round, he noticed the dead bodies of bears lying all over the ground. He added that after this he felt he was one of many who killed a group of monkeys. Then later, when he looked round, he saw that many bodies of monkeys were lying on the ground where he stood. On hearing this, the Orang Kaya Pemancha ordered all of the warriors who had had good dreams to accompany him to war. After they had marched far along the path towards the Undup, Dana ordered the force to stop for a few moments in order to ngusok, or “respect”, the omens which they had heard along the road that morning. After this stop they marched further till they reached a certain spot selected by the Orang Kaya Pemancha where they stayed three nights to respect the right-hand voice of ketupong heard by the headmen who had looked for omens five days before. When this was done they marched again till noon. When they came to a certain place Dana ordered his force to stop in order to build a camp where they must stay one night, to respect the voice of the beragai bird which had been heard by the headman when he had taken an augury stick. Next morning the Orang Kaya Pemancha ordered his troops to march nearer to the border of the enemy’s lands. On the way they made a night stop to respect the voice of the pangkas bird which the headman had heard when he pulled up the tambak burong near the longhouse. Early next morning, they marched again and reached the border before noon. On their arrival Dana ordered his force to stop and build a camp where they could stay. When the younger warriors were building the camp, Dana ordered Sabok “Gila Berani” and Bedindang to lead a dozen warriors into the forest to guard (ngikup) the troops from a possible surprise attack. They remained there until late at night. Q. If we leave this place early what time of the day in your estimation will we reach the enemy longhouse? A. We are sure to reach there before noon. Q. If we cook our provisions here in the morning will we reach the enemy longhouse in time? A. If we cook after midnight, we shall have sufficient time to leave this camp early and reach the longhouse before noon. When the Orang Kaya Pemancha had learned how far away the longhouse was he ordered the warriors to cook their food soon after midnight so that the force could march at day break. He also informed his leading warriors that he was determined to invade not just one longhouse, but all the longhouses on the Undup River. After they had defeated the first longhouse, they would occupy it as a base for their next attack. Early next morning they left the camp and marched towards the border, where they planned to stay near to the enemy’s longhouse. When they came to the mengeris tree from whose top the spies had seen the enemy longhouse, the Orang Kaya Pemancha ordered his force to stay another night there, in order to discuss the final arrangements for the attack. After they had eaten that night, Dana called a council of war. In it he commanded that the next day Sabok “Gila Berani” and Bedindang should go with two warriors to spy on the enemy’s movements. Other warriors were detailed guard duty near the camp. Next day Sabok and Bedindang and two others went to spy on the enemy. They returned to camp long after dark. After they had eaten, Dana called them to him in order to hear what they had seen. Bedindang said that they had only travelled along the path, but had not met any enemy. He said that after they had approached close to the enemy’s longhouse they had scanned it from the top of a tree. The length of the house, according to the spies was about thirty doors. On hearing this Dana ordered the force to stay one more day there. That night, he asked all the warriors to go to bed earlier than usual in order to allow maximum time for dreaming. At the same time he asked that all firewood collected from the forest be dry so that it would not smoke when burned. Next day while all the younger warriors were busy collecting firewood, the warleaders and their leading warriors discussed the coming raid on the enemy’s longhouse. The leaders were the Orang Kaya Pemancha Dana “Bayang”, Linggir “Mali Lebu” of the Paku and Unal “Bulan” of the upper Layar river. Their ideas on the attack were sounded out by Dana in his last council of war the following night. During this informal meeting the Orang Kaya Pemancha asked the people of Kumpang how many longhouses there were in the Undup River. They told him that there were a good many and that the majority of them had only been attacked by them in small kayau anak wars. Hearing this, Dana assured the Kumpang people that as he had invited all the principal warleaders and leading warriors from the Saribas to join his war, he would not stop raiding the enemy’s houses until he was satisfied of their entire defeat. These words surprised the Kumpang leaders, for they thought that the Orang Kaya Pemancha would only attack one longhouse, and then go back satisfied with a small victory. That same night after dinner Dana called a council of war. At the beginning of the discussion he begged all present to tell publicly their dreams of the previous night. The people related their dreams; some said that they had had bad dreams while some said that their’s were good. Having heard this Dana asked the dreams of all his leading warriors from the Padeh and Layar rivers. They informed him that they had slept well. Having heard all this, he ordered those whose dreams were inauspicious not to risk themselves in joining the fight, but to return to their base. 1. His own leading warriors from the Padeh were to march along the central path. 2. Linggir’s leading warriors were to march along the right road. 3. Unal “Bulan’s” leading warriors were to march along the left road. 4. The warriors of the Kumpang, Skrang, Lemanak and Seremat were to follow these three divisions of warriors in equal numbers. 5. Sabok ‘Gila Berani” and Bedindang took the lead in front of the other warriors who marched along the central road. The Orang Kaya Pemancha ordered the warriors who marched along the central path not to enter the enemy’s longhouse. Instead, they should wait for the enemy to come out and kill them as they jumped from the house. After the meeting was over, Dana commanded the leading warriors to march in front of their respective followers along the three paths. During the fighting many of the enemies were killed as the attack took them by surprise during a meal. Of Dana’s warriors only a few were killed and a few wounded. After the longhouse had been defeated his warriors looted the enemy’s valuable jars, brass cannons and gongs. After the Orang Kaya Pemancha had been told of the result of the raid, he ordered that the longhouse was to be occupied and guarded by his warriors to make it safe from enemy attack. So Bedindang, Sabok, Isek and Senaang led other warriors towards the border with the next longhouse to insure that no enemy could attack their force by surprise. The others who stayed behind hid their loot safely in the jungle around the longhouse which they had occupied. That evening Dana called a meeting at his place in the occupied longhouse. In it he asked his warriors to remember the way they had attacked and defeated the longhouse they now occupied. He wanted them to follow the same tactics when they raided other longhouses. He then asked Sabok and Bedindang to spy out the position of the next longhouse they wished to attack. Early next morning Sabok and Bedindang took a few warriors with them to spy on the enemy. When they came to a longhouse, they found it had been deserted a few days previously. Its inhabitants had fled away to places unknown. When they returned they told the Orang Kaya Pemancha about their spying in the Ulu Undup. When the latter learnt that the longhouse had been vacated he ordered that early next day they march there to raid it. He also commanded all of them to cook their food (mansoh) early in order to start at daybreak. At day break the next morning Dana commanded his warriors to proceed as quickly as they could towards the enemy longhouse to attack it. They marched exactly the same way as they had done during the previous attack. In this raid only two of the enemies were killed by those who attacked along the right and left paths. The house was occupied easily as no one was living in it. As soon as they had occupied the longhouse, the warriors started to guard it. Of all the warriors who guarded the force, only Sabok and Bedindang dared venture far into the jungle. They managed to reach a certain padi field where they met a man and his wife who were on their way to reinforce the enemy. On seeing them the man’s wife trembled. She and her husband naturally did not recognise Sabok and Bedindang who told them that they were coming from the Merakai in Indonesian Borneo. They asked them whether it was true that Jarup’s longhouse in the Undup had been raided and defeated by the Kumpang Iban. The couple told them that they had only heard the news, and in order to learn more about the accuracy of the story, they were coming thither to meet the people themselves. The man told them that because of this massacre all those who were able to escape from the raid had fled to Sureng’s longhouse in the upper Undup and were living there. They also told Sabok and Bedindang that Sureng had asked the Kantu’ from Merakai to help defend his longhouse. Bedindang asked where they, the farmer and his wife, came from. They told him that they were Kantu’ who had come from Merakai to reinforce Sureng’s people in their struggle against the Kumpang invaders. Hearing this, Bedindang and Sabok told the farmer that they must return to their house in haste, in order to assist Sureng and his people to defend themselves against the enemy’s raid. Eventually when Sabok and Bedindang reached their troops, they told the Orang Kaya Pemancba that they had met two of the enemy in a padi field who were coming from the Merakai to assist Sureng and his people in the upper Undup to resist their coming attack. They also told the Orang Kaya Pemancha that all the enemy who had escape from their hands had now fled and were living at Rumah Sureng. On hearing this story Dana turned to the Kumpang headman and asked for his opinion about an attack on Sureng’s house. The headman said that he had complete faith in the Orang Kaya Pemancha and the other Saribas war-leaders and warriors. Next Dana asked for the opinions of the Lemanak, Belambang, Skrang and Seremat regarding the raid on Sureng’s house. These chiefs said that they would join any war the Orang Kaya Pemancha would lead them to fight. Having heard from the Batang Lupar chiefs, Dana asked for the opinions of Linggir “Mali Lebu” of the Paku and Unal “Bulan” of the Ulu Layer regarding the intended attack on Sureng’s longhouse at Ulu Undup. Linggir and Unal “Bulan” said that since they had come to reinforce Dana’s force they would not leave him as long as he was still on the warpath. Hearing this, Dana said that if all were of the opinion to continue the attack on the Undup Iban, he would not hesitate but lead them in an attack on Sureng’s longhouse, where the enemy had fortified themselves with the help of the Kantu’ and others from Indonesian Borneo. That night the Orang Kaya Pemancha directed his warriors to be on guard in case the enemy came secretly to spy on them. He told them to stay about half a mile from the troops who occupied the longhouse. He warned the guards not to kill the enemy if they saw them massing in the jungle. Immediately after the evening meal was eaten, Sabok “Gila Berani” and Uyu apai Ikum went out as directed with then” followers to guard the troops, while the others built a stockade to prevent the approach of the enemy. They also made thousands of spears and sharp stakes (tukak) from nibong palms and bamboo. Next day Bedindang and Uyu went to the padi field where Sabok and Bedindang had met the man and his wife two days previously. The reason for this was that Bedindang thought that the couple might still be waiting for other Kantu’ to come to reinforce Sureng and his people. They did not meet them, so they went further, until they came to a bathing place near Sureng’s longhouse. Here they saw two men cutting firewood on the river bank. These men asked them where they were from and how many people were with them. They told them that they had come from Merakai, and their friends were bathing in the river below. Bedindang asked one of the men whether there were many people who had already come to reinforce Sureng. The man said a lot had arrived since Jarup’s house in the lower river had been defeated. People from various longhouses in the Merakai were coming every day. Uyu asked the man whether those who had come from Merakai and Sureng’s people planned only to defend the longhouse from the enemy’s attack, or whether they intended to attack the invaders. The man said that after all the warriors had come from the Merakai, and after the preparations for war had been completed, Sureng had decided to lead them to fight the enemy at their stronghold next day. Hearing this, Uyu and Bedindang told the men that they would bathe with their friends in the river before they went to Sureng’s longhouse. Having said this they returned in haste to their own troops. When they arrived, the Orang Kaya Pemancha and other warleaders asked for their story. They said that they had reached Sureng’s bathing place. There they had talked with two of the enemy who told them that they and the Kantu from Merakai planned to attack them. Because of this, Uyu advised that they should prepare themselves either to attack or to defend themselves. That day, Dana told his warriors to fortify the house they occupied with a strong fence and to put a great number of sharp bamboo spikes (tukak) in the ground outside the fence. After the evening meal, Dana called a meeting. In it he arranged for eight trusted warriors under Bedindang and Uyu to attack (negah) the enemy by surprise, after about twenty or so of them had walked inside the area between the main attackers and the longhouse. At the same time he warned that no warrior should attack the enemy before those who were negah had done so not even if the enemy were chasing them. Early next morning Uyu and Bedindang with Isek and Senaang and their followers went out to do the negah work, about half a mile away from their stockade. Soon after they had hidden themselves in the bush, a large number of enemies came whom they attacked with fearful war cries. Hearing the noise of their shouts those who defended the house also took their stand. When the enemy was in a state of tumult due to the danger of stepping on the sharp spikes, Uyu and his warriors attacked them from behind and killed them in large numbers before they could reach the fortified longhouse. After the battle was over a considerable number of Orang Kaya Pemancha’s own warriors were found to be wounded and several warriors from Kumpang had been killed in the fight. But as it was still early in the afternoon, the Orang Kaya Pemancha’s troops had sufficient time to bury the corpses of their dead comrades-in-arms. After that they were sadder than when they had defeated the enemy in the previous two longhouses. That evening after supper, Dana again called a meeting. In it he ordered his force to attack Sureng’s longhouse early next day. He requested all the able-bodied warriors to prepare themselves. Hearing this, Sabok and Isek asked Dana what to do with the wounded warriors. Isek asked if they could be left there. The Orang Kaya Pemancha said that they should be left behind in order to be looked after by those who could not join the expedition. Sabok thought that it was very risky to leave them behind since if the enemy came to attack the house again, the wounded warriors would be helpless. Dana said that he was sure that the enemy would never come again after they had been defeated so badly only a day before; all Sureng’s reinforcements must have returned home. The Orang Kaya Pemancha also said that in their attack on the enemy’s longhouse the next morning, his troops must start the raid when the enemy was still eating their breakfast. That night he begged all of them to go to sleep early in order to receive dreams. Soon after they had gone to bed, a number of them dreamed. In the morning when Dana asked them to relate their dream, many of the warriors told him that their dreams were very unsatisfactory for the warpath. So Dana left all of those who had bad dreams in the longhouse to look after their wounded friends. He took with him only those who had had good dreams. Eventually when they reached Sureng’s longhouse at day break, the Orang Kaya Pemancha personally led his force into the enemy’s longhouse. He was followed by Linggir “Mali Lebu” and Unal “Bulan”. When they walked, sword in hand, along the gallery of the longhouse they found only a few of the enemy in the building. During the assault they killed nearly all of them. After the house had been defeated the Orang Kaya Pemancha and his warriors entered every section of the building where they looted a huge number of valuable jars, gongs of various sizes and porcelains of many kinds. To mark his victory over the Undup, Dana took back with him to the Padeh, a famous guchi jar (now in the possession of his descendants at Lubok Nibong, Baram), a menaga and a rusa jar. Linggir “Mali Lebu” looted a menagajar (now in the possession of his great-great-grandson, Lemambang Bugak Anak Duat at Matop, Paku). The rest of the warriors also took back with them jars and brassware whose types and sizes are no longer remembered. Due to their defeat by Orang Kaya Pemancha Dana “Bayang” on the side of the Kumpang Iban, the Undup Iban fled to two different regions. The majority of them went to Salimbau in Kalimantan, and the others to Ulu Lingga where they settled with the Balau Iban. About a decade later, when Mr. Brereton was in charge of Fort James in the Skrang, they were allowed to return to the Undup. But when they came they found that most of the land in the lower river had been occupied by the Skrang, and the upriver by the Kumpang Iban. The Orang Kaya Pemancha of Saribas is now with me… the dreaded and the brave, as he is termed by the natives. He is small, plain-looking and old, with his left arm disabled, and his body scarred with spear wounds. I do not dislike the look of him, and of all chiefs’ of that river I believe he is the most honest and steers his course straight enough. Another chief of a tribe came on board, named Linggir, a short man of almost perfect symmetry, serpent eyes, with the strong savage pictured in his physiogomy. While he sat on deck, I could not keep my eyes off his countenance, for there was peculiar character lurking underneath the twinkle of that sharp eye… avarice, cunning, foresight, all within so small a compass. Note: During this first meeting with Rajah James Brooke after the attack on Saribas in 1843, OKP Dana “Bayang” requested for a permission from Rajah James Brooke to organise a headhunting expedition to the Indonesian side of Borneo. He explained to Rajah James Brooke that his wife had recently passed away, and that he needs fresh heads to end the mourning period for the people in his area. This was in accordance with the tradition and cultural values of the Iban people to perform final religous rites for the death a very important person. Rajah James Brooke lack of knowledge and understanding of the Iban way of life and religious pratices, at the same time, a man whose mission was bent to end piracy and headhunting. promptly denied the request by OKP Dana. As a parting gesture, OKP Dana presented a pua kumbu called “Lebor Api”, woven by his late wife, to Rajah James Brooke. To the local Saribas Iban historian, the objective of presenting the pua Lebor Api to Rajah James Brooke was a sign to seek the Rajah’s help to look for an enemy head to fulfill OKP Dana religious obligation. As it was, the Rajah kept the pua lebor and the whole epic of the event soon evaporates with the Rajah James Brooke focus his attention on expand his influence and administration. OKP Dana continued to lead his people on their headhunting expedition. During the Rajah James Brooke era, he was already an old man, and naturally the most senior of all the Iban leaders in Saribas and Skrang region. The treaty as extracted from THE INDIAN ARCHIPELAGO: ITS HISTORY AND PRESENT STATE by Horace St. John. Published by LONGMAN, BROWN, GREEN, AND LONGMANS. London, 1853. “What was of still greater importance than this coercive device, intended for the repression of piracy, was a sealed engagement accepted by the Serebas chiefs to abandon it altogether. ” This is an engagement made by Orang Kaya Pamancha, together with the headmen and elders, Dyaks, now inhabiting the country of Padi, with the Rajah, Sir James Brooke, who rules the country of Sarawak and its dependencies. Now the Orang Kaya Pamancha, the headmen and elders, Dyaks, swear before God, and God is the witness of the Orang Kaya Pamancha, the headmen and elders, Dyaks, that truly, without falsehood or treachery, or any evil courses, but in all sincerity, and with clean hearts, without spot, with regard to the former evil acts, we will never do them in future. ” Article 1 . The Orang Kaya Pamancha, the headmen and elders, Dyaks of Padi, engage in truth, that they will never plunder or pirate again hereafter ; and that they will never again send out men to plunder and pirate from Padih river. ” Article 2. The Orang Kaya Pamancha, the headmen and elders, Dyaks, engage, that if there be any committal of, or consultations to commit, plunder or piracy, or other evil doings of the kind, it is our duty to come and report it at Sarawak. ” Article 3. The Orang Kaya Pamancha, the headmen and elders, Dyaks, engage, that if people of Serebas or of Sakarran, commit acts of plunder and piracy, which they cannot prevent, we are bound to come to the English, or to the people of Sarawak, to punish the people who so act. ” Article 4. With regard to traders in the Padi river. The trade with them shall be fair and honest, and traders shall be taken care of, and shall not be plundered or molested, or treated improperly. If such people do not choose to trade they shall not be troubled, and if there be debts due to them, they shall be examined into and settled with judgment. ” Article 5. If the Rajah sends people to Padi they will be received, and shall not be troubled or prevented; and if the Rajah sends people to investigate, and see what is doing in Padi, they shall be received and taken care of. Note: An original local historian source, Bediman Anak Ketit, also a direct descendant of OKP Dana “Bayang” mentioned that the incident at Tanjong Kauk happens when Dana was still at a very young age. A revised version of OKP Dana story will be published very soon to incorporate this changes based on Bediman Anak Ketit account. Dana “Bayang” contracted smallpox and died in 1854, with one of his sons named Umpu who also died of the same disease. After Dana “Bayang’”s death he was succeeded as chief of the Padeh and upper Layar by his third son Aji, who, although younger than Nanang and Luyoh, was braver and showed better leadership than his elder brothers. He ruled only four years and died in the Sungei Langit war in 1858. He was succeeded as chief by Nanang who was promoted to the rank of Orang Kaya Pemancha in 1886. This entry was posted in JERITA TUAI, Uncategorized on June 27, 2013 by uwa1971.